Hallmark 2017 Keepsake Fun and Games Tabletop Decoration. 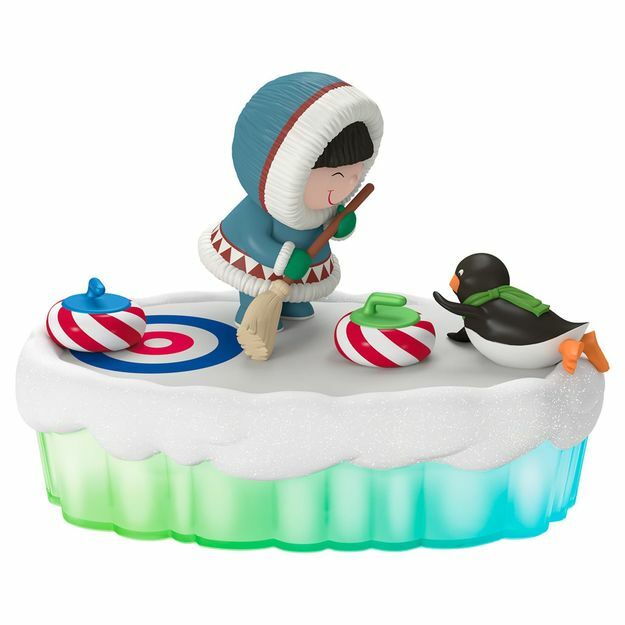 With broom in hand, Frosty and his arctic penguin pal enjoy curling with peppermint candy curling stones on an icy curling sheet. This delightful winter scene comes to life with light and sound as Deck the Halls plays when connected to Hallmark's Magic Cord (sold separately).